"* Grant Family Foundation "
Rob Grant '75 of Rob Grant & Associates in Saranac Lake, recently made a significant gift to Prescott College in the form of educational domain names designed to drive Internet traffic to the Prescott College Web site. "I am especially excited about the potential for domains like www. 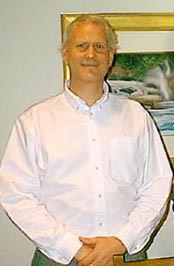 Grant worked closely with the college exploring and developing a unique online network of educational Websites through his Internet consulting firm Adirondacks. com. Grant said his company worked with Rachel Yoder, director of alumni relations, and Kevin Beyer, Web administrator, to make the domain transfers possible. "These education domains represent a wonderful opportunity for Prescott College to build-out and create a unique network of dedicated 'vertical' sites that can showcase the College's unique academic programs online and attract potential applicants to the college admissions process," Grant said. "This is especially important in today's highly competitive environment where private colleges are struggling to attract students and maintain enrollment. Very few, if any, private colleges have such a powerful network or online admissions platform." A recent survey conducted by Peterson's Educational Guide found that more than 35 percent of all U.S. students used the Internet to search for schools and apply online. This means that a potential student anywhere in the world who types one of these URLs will be routed to the Prescott College Web site. Grant said that by branding these various education domains and building sites around them, Prescott College will benefit from search engine traffic and from intuitive searches. "A student looking for www.EnvironmentalScienceDegrees.com will default directly into one of Prescott College's education sites," Grant said. "This is why major companies like Peterson's Guide own important domains like www.BoardingSchools.com. These domains generate highly qualified leads to the company's educational directory. In turn, schools pay Peterson's significant dollars to advertise on their site and gain exposure tothese potential applicants." Grant said a domain essentially has two components of value: a brand value and an intuitive value. "The more descriptive and memorable a domain is, the higher its brand value is in the eyes of the consumer," he said. "This is especially true if a domain translates well across a variety of media including print, TV, radio, the Internet, etc. Generally, the more highly targeted a domain is, the more valuable its brand appeal is. A good example of this is a premier domain like www.CatholicSchools.com." Intuitive value is created when a computer user types in a specific name or topic followed by the dot-com extension. "These domains represent the most valuable assets in the industry and command staggering prices," Grant said. "Recent sales of significant domains include business.com for $7 million, wine.com for $3 million, and autos.com for $2.2 million." The gifted domains to Prescott College are valued at $60,000. 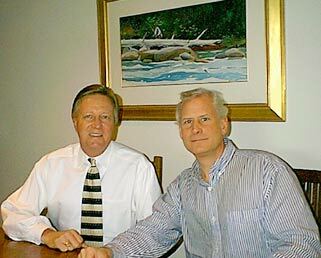 Grant's company has been acquiring domain properties since 1996. The process, he said, is complicated and depends on a variety of factors. "I have many fond memories of Prescott and the many wonderful and highly unusual friends I made during the late 70s," he said. "My hope is to help the college as much as I can. The Internet is a good first step." PAUL SMITHS - Paul Smiths College announced today that they have received a significant gift in the form of educational domain names designed to drive Internet traffic to their PaulSmiths.edu web site. The gift was made by Rob Grant of Rob Grant & Associates in Saranac Lake. According to a recent survey conducted by the nations largest educational directory "Petersons Educational Guide", over 35% of all U.S. students actively used the Internet to search for schools and apply online. Consulting firm CollegeNet estimates that over 50% of all international students search for schools and apply directly online. As the Internet has continued to grow worldwide, online admissions has become an essential tool for any school hoping to compete globally for prospective applicants. For an organization like Paul Smiths college, controlling such important educational domains means that Paul Smiths now becomes the electronic destination for any student anywhere in the world who conducts a search by typing in any one of these URLs. As Paul Smiths continues to grow and expand from a 2-year college to a 4-year institution, its goal is to raise enrollment from 800 students currently to over 1,100 students by the year 2005. In order to accomplish such an ambitious task the internet will play an increasingly pivotal role as Paul Smiths competes with other academic institutions from around the globe to attract students to the Adirondacks. Commenting on the recent gift to the college, Paul Smith president George Miller noted that "as the colleges web presence continues to evolve, the addition of these valuable domains will enhance that presence in many significant ways. This gift will be used to direct prospective students and other interested parties to the colleges web site, thereby helping to increase enrollment and build awareness of our institution. Such a gift is deeply appreciated as we continue to seek better ways to serve our students as well as the greater Adirondack community." Mr. Miller also thanked Rob Grant for "his continuing support of our work at PSC and in making a difference in the future of Paul Smiths College".